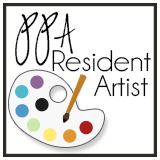 Thank you for joining us for the August Pals Blog Hop. Even though it's only August we want to provide some inspiration for your upcoming holiday projects. 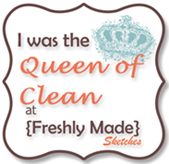 This month's blog hop will showcase new products from the 2013 Stampin' Up! Holiday Catalog. 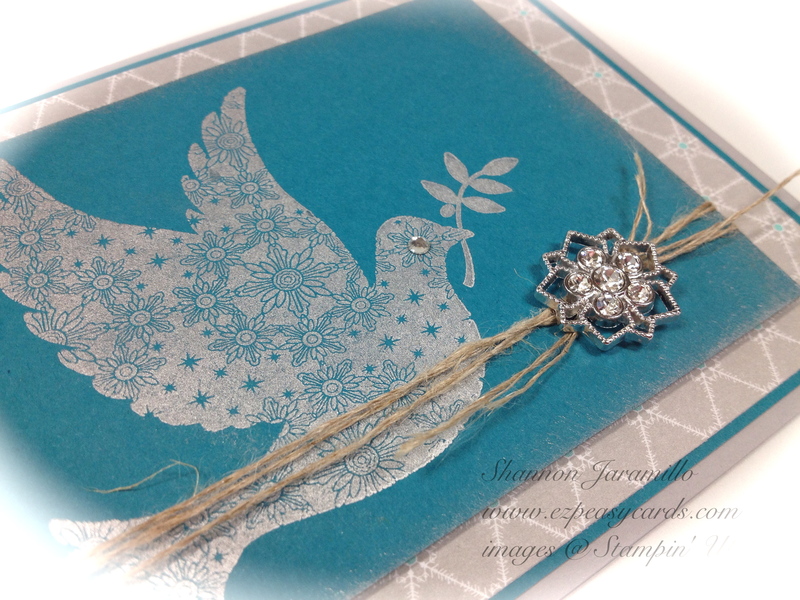 We hope you enjoy seeing how we use the new stamps, new punches and other accessories! 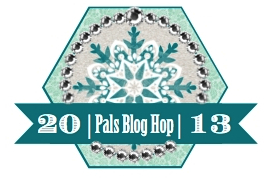 You should have just left stop number 12 on the Pals Hop - Amy Williams at Stampin' on the Range. If so, you are in the right spot. If you get off track, the full blog lineup below will help you move along from blog to blog so you see all of the amazing creations. 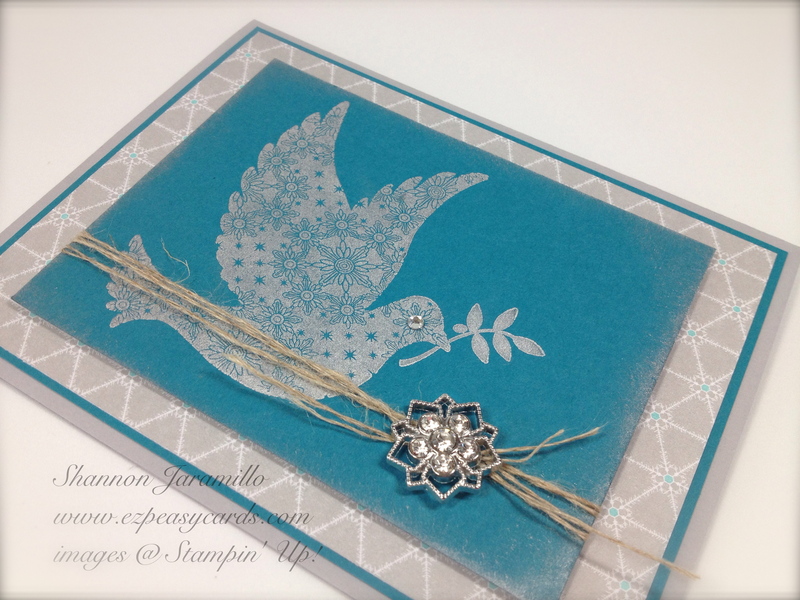 The products in the Holiday Catalog really make creating handmade cards quick and easy! 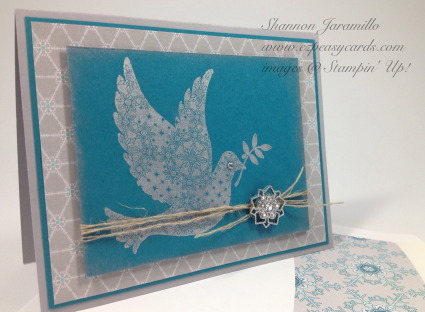 This card features a wonderful dove image from the Calm Christmas stamp set. I admit, when I first went through the catalog I passed right over this set. Several weeks later, no kidding, I work up in the middle of the night with an image in my head of this card stamped using the silver glitter also found in the Holiday Catalog. I got up and ordered the set...who am I to argue with inspiration, right? In the end, because of the beautiful details in the dove, I chose to go with the new Silver Metallic Encore Pad, also found in the Holiday Catalog. It has SUCH a beautiful and elegant finish to it, I really, really love it! I also sponged the edges of the Island Indigo cardstock using the Silver Metallic ink, it just softens it up and adds a nice touch! A simple rhinestone adds a nice detail too! A bit of linen thread showcases the absolutely beautiful Frosted Finishes Embellishment. These embellishments are a must have! Here's one more angle to show off the sparkle of these embellishments! 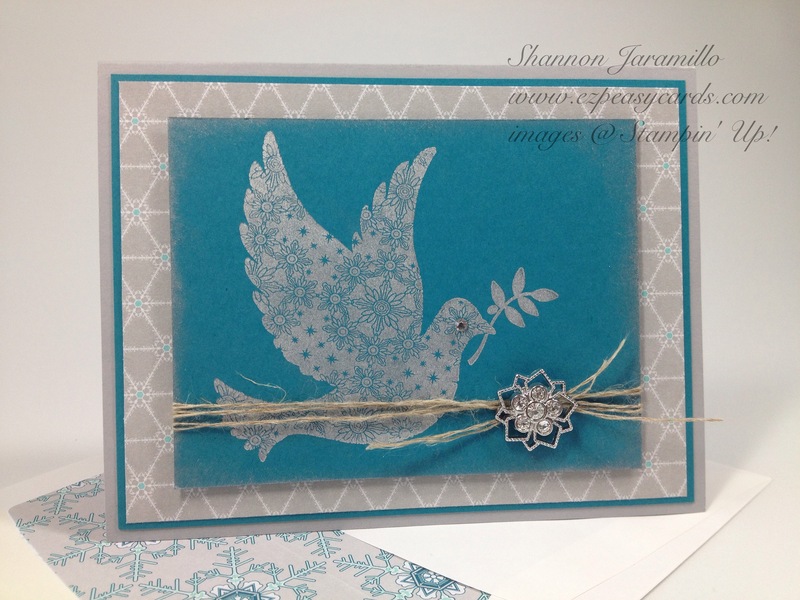 And please look at the pattern in the dove and then look at the pattern in the Winter Frost Specialty Designer Series Paper that I used to line the envelope with...they coordinate! 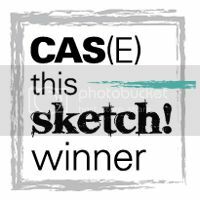 How awesome is THAT?!? 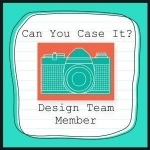 I can't say it enough, the coordination of Stampin' Up! products continually amaze me! I am loving getting my Christmas cards early...have YOU started yet? 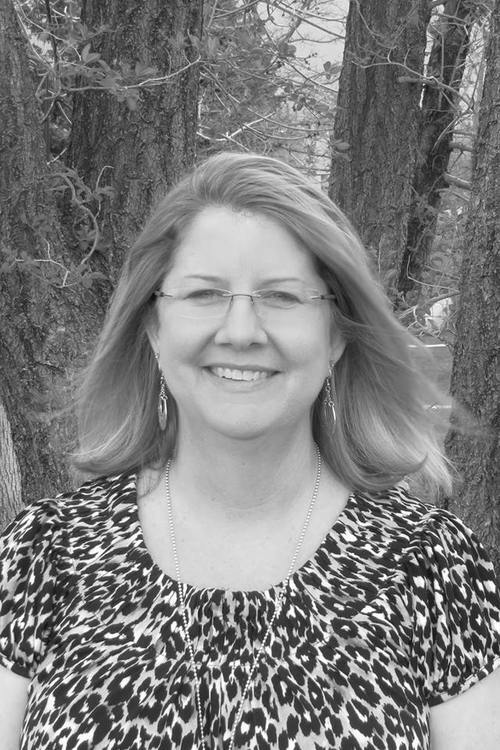 The next stop is Nicole Watt at Pixel Maven's Retreat, stop number 14 on the Pals Blog Hop! Thanks for visiting – and I hope to see you next month!